When caring for children or aging parents, the effort strips a caregiver's personal time. Even the most resilient individuals succumb to the grind and become frazzled. If you give care to a loved one, take steps each day to preserve your health and well-being. Caregiving offers many rewards and just being there for another when needed is a core value. But being on call repetitively drags a person down and fosters extra pressure. You have enough to worry about; kids, a spouse, a job, yard work, and upkeep around the home. When do you have time for yourself? When dealing with medical issues, complete the simple ones first. Confirm medical appointments the day before to find out if the healthcare team is ready to discuss test results. Doing so saves time and avoids two visits to the doctor. Use respite care to take a break by hiring a professional caregiver or get help from neighbors, friends, extended family, and church volunteers. Provide a list of tasks they can do like prepare a meal, or make a trip to the food market, pick up prescriptions, do the laundry, or offer your loved one a ride to the doctor. Manage the tasks by using Care Bridge or Lots of Helping Hands. Learn to manage behavioral issues related to dementia. Time spent arguing and negotiating contributes to unnecessary stress and wastes time. Make your workload lighter by keeping a list ready for the time when you hear someone say "how can I help?" Give them a job from the list. Everyone needs relief from time to time. Have conversations with your immediate family to divvy up responsibilities. Slow Down! The care recipient will pick up on your feelings, and they will react. Also, when rushed, you may have to go back and do it all over again. So, slow down. Set up as many routines, schedules, systems, shortcuts -- mainly, find an a tool to streamline the daily "to-dos." They require set up but at the end of the day, you'll save a lot of time. Reach out and find others who are in similar situations to gain support from one another. Having a support group who listens to your frustrations and emotions can relieve stress. Millions of people are caring for friends or family, which means millions of individuals can learn from each other. Once burned out, giving care is no longer a healthy option for you or the care. It's important to watch for the warning signs of stress and take action right away to resolve the problem. 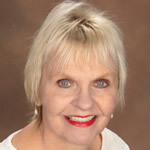 Carol Marak, aging alone advocate, columnist, speaker and editor at Seniorcare.com. A former family caregiver, She earned a Fundamentals of Gerontology Certificate from the USC Davis School of Gerontology and writes about personal concerns while growing older.